As part of the development of the former site of the Royal Ordnance Factory at Bishopton, Renfrewshire a new access road is to be constructed to link the A8 to the development. 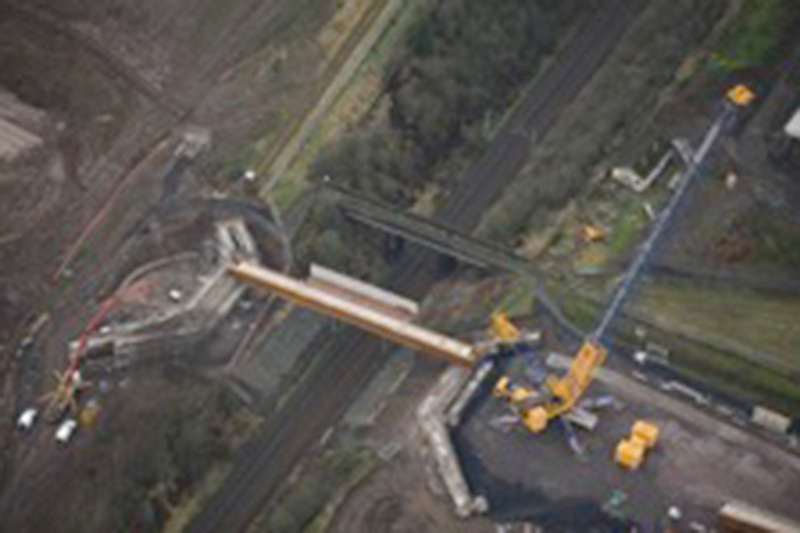 To carry the road over the electrified Glasgow to Gourock railway line a new 44m span bridge will be constructed. Fairhurst commission is to undertake all aspects of the design of the new bridge, the road and associated earthwork embankments. Fairhurst are lead designer and are undertaking all aspects of the geotechnical investigations and embankment designs plus coordinating the output of our work with that of our sub-consultants who are designing the road alignment. Fairhurst prepared all specifications for the ground investigation (GI) and undertook the supervision of the works, working closely with the Client’s specialist staff who were addressing the particular contamination issues which arise on the disused ordnance factory. Following the GI Fairhurst prepared an interpretive report for use in the design of the embankment and bridge abutments. In relation to the bridge, Fairhurst have provided technical support to our client in their discussions with Network Rail and the Council regarding the Tri-Party Bridge Agreement. In developing the proposals for the bridge the objective has been to minimise the interface of the works with the rail infrastructure, reducing the risk of potential delays.